I’ve read quite a bit this fall, but my favorite by far has been My Life with the Saints by James Martin, SJ. It has gotten lots of positive attention, being named Publishers Weekly Book of the Year and Winner of the Christopher Award. Fr. Martin grew up Catholic, but in a lukewarm household, with little understanding of his faith. He was in the midst of a promising career in business when he discerned that he was called to become a Jesuit. 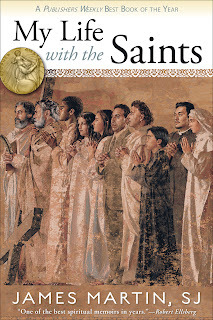 The story of how he found that calling and what he has done since are told through the lens of the Saints that he learned about at different stages of his life. From a beige plastic St. Jude statue that he owned as a kid, to the connection he has with Mother Teresa, to the miracles he witnessed in Lourdes, France, Fr. Martin shares who these holy men and women were and how they became models for his journey. 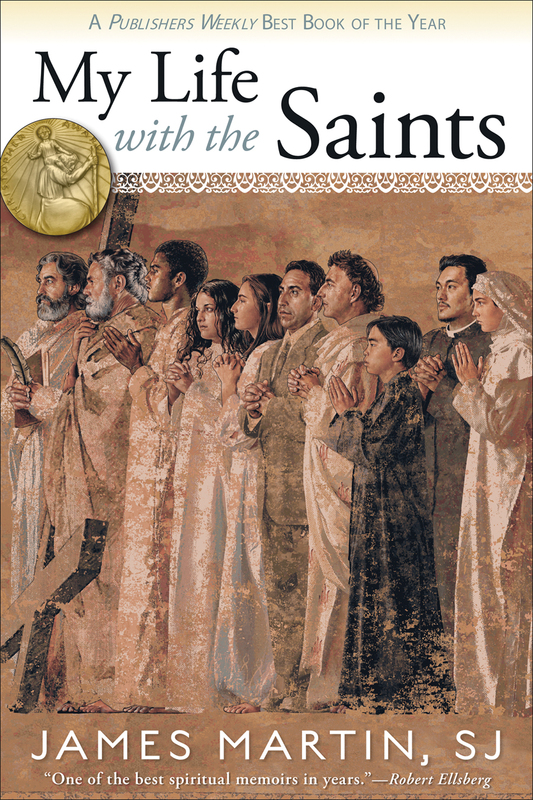 One message that rings clear through the book is that all of the saints had their own callings- Fr. Martin learned from them, but he was not called to become them. In the same way, Mother Teresa often told those that visited her to go home and find their own Calcutta. A saint is someone who spends eternity worshipping at the throne of God. We are all called to be saints. The work that God has for us in between now and then is different for us all. Mother Teresa had Calcutta, Joan of Arc had the battlefield, and you and I have something else. This book helped me consider what that might be. The book was so popular, that Fr. Martin also stars in a DVD highlighting some of the Saints in the book. Here is the intro to the DVD, which is called Who Cares About the Saints?. This clip contains one of my favorite stories from the book about his saint in the sock drawer. More resources about My Life with the Saints, including discussion guides, can be found at Loyola Press. I’ll keep you updated on my spiritual reading, especially when I find treasures that I think you might enjoy. And I will no doubt keep reading just for fun too…but more on that later!